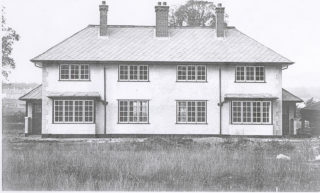 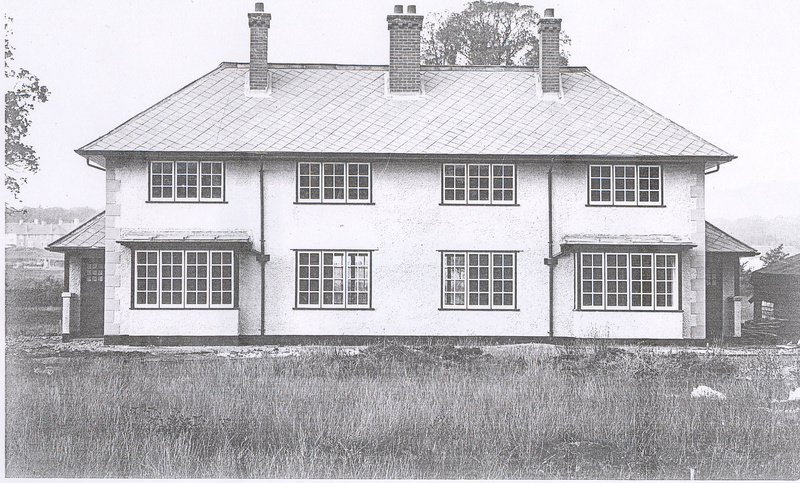 The photo taken in 1922 is of Nos 14 & 15 Meadow Green just as construction had been completed for the Daily Mail Model Home Village exhibition. 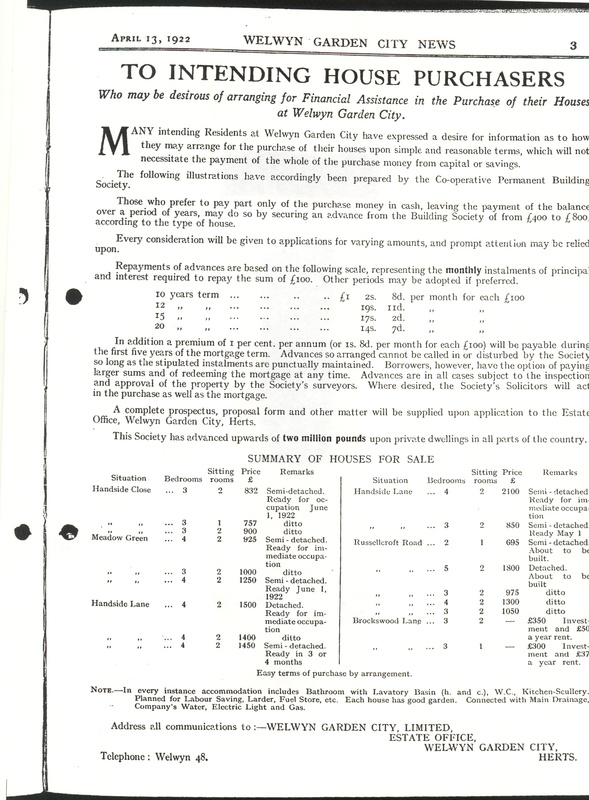 The builders were The Economic Building Corporation Ltd of High Holborn, London. 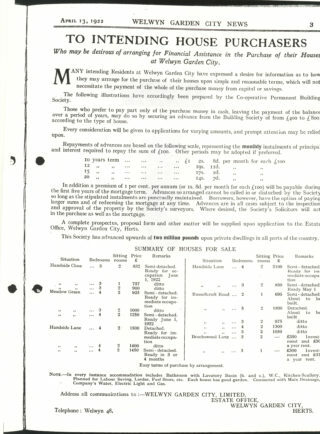 The extract from the Welwyn Garden City News April 13, 1922 shows that the semi detached houses in Meadow Green cost from £925 to £1250.